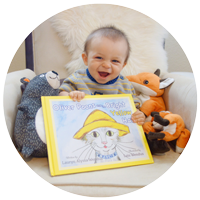 Short Vowels Activities and Worksheets as excerpted from our paperback workbook, Oliver Poons and the Bright Yellow Hat: Worksheets and Activities Pre-K through Grade 2. Short vowels worksheets and activities as excerpted from our 112-page paperback workbook: Oliver Poons and the Bright Yellow Hat: Worksheets and Activities Pre-K through Grade 2. 13-page downloadable PDF. Answer Key Included.